Jean-Luc Godard was no stranger to heavy political themes in his films. The second film he made after Breathless was also his earliest socio-political drama. The Little Soldier follows Bruno, a French revolutionary hiding out in Switzerland in order to avoid enlistment in The Algerian War. His alliance with French intelligence soon drives him into a complicated situation in which he must kill an Algerian sympathizer to prove he’s not a traitor. Unwilling to complete the task, Bruno is forced to confront his personal views on war and pride. In the midst of doing so he falls in love with Veronica Dryer (Anna Karina) a Russian immigrant concealing her true identity. 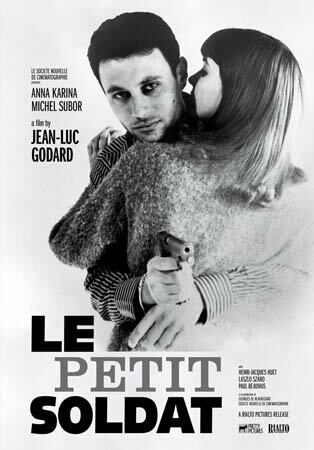 Although released in 1964, The Little Soldier was made in 1960 when Godard was growing into an art house darling of cinema. The film was banned in France until 1963 supposedly for its depiction of torture during the film’s climax. Yet, despite its early roots The Little Soldier is perhaps Godard’s most stylistically conventional film. There are no jump cuts, no off-beat camera positioning, no atypical sound distortion or music cues, and it is void of a strong female lead. Godard instead tells a linear tale using a handheld camera to shadow Bruno and takes advantage of the cinematic freedom to pit himself with Bruno in small, tight enclosed spaces heightening the intensity of key situations that Bruno finds himself in. The Little Soldier is narrated by Bruno and Godard captures much of the film’s escapades through whip pans and travelling shots. Karina co-stars as Bruno’s love interest, but is given minimal screen time and even less of a persona to work with saving the display of her impressive talents for later Godard films. What’s more is that Karina plays a character void of power and individuality. What we do know of her is conflicted and underdeveloped likely because she is introduced to us through Bruno’s skewed perceptive. What we as an audience learn of Veronica is mostly limited by Bruno’s words and actions. After a date he corners her to tell her that she shouldn’t hold a man’s arm as she did his if she didn’t want to sleep with him. He coldly walks away and she runs after him to once again hold his arm. They promptly awake alongside one another the next morning. 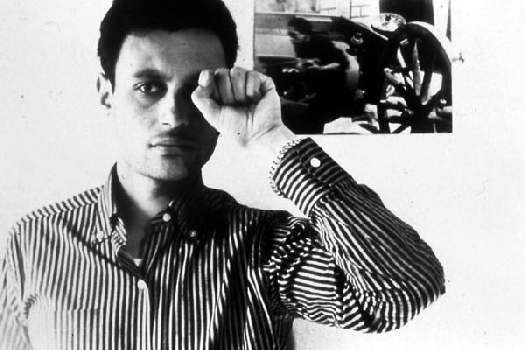 Godard leaves the internal complexities for Bruno, a man who walks the Earth with blinders on believing in weak ideals about the world he lives in. His nationality is one he holds with pride but is nonchalant about the rest of the world only caring for a specific country if their contributions have benefited him. 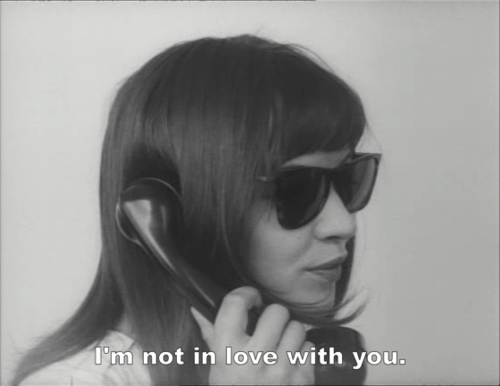 Although Veronica isn’t a multidimensional character and lacks the prowess and self-identity of Godard’s more famous female characters, her role in the film is still pivotal. Godard uses Veronica as a plot device, one that without we’d have no true insight into Bruno as a character. Through his relationship with Veronica, Bruno reveals to her his thoughts on the war, politics, ethics, and his own conflicting ideals on his role in the grand scheme of things. Bruno expresses his beliefs and ideals to Veronica showing us where his loyalty ultimate lies; not with French or Arabs or Swiss, but with Veronica, the girl he loves. He makes a vital decision in the film for her sake. The Little Soldier is less of a showcase of the actor’s talents and more of a look into conflicting political views during a turbulent time period. Due to this, The Little Soldier’s importance lies mostly in its narrative rather than its aesthetics and style. The resulting product is slightly boring and dull with occasional scenes ridden with poor acting and even poorer edits. The Little Soldier is not one of Godard’s better films, nor does it capture quality and capability of his talents and visual brilliance. However, it is an impressive attempt at creating a political drama with social overtones and while the female focus isn’t as strong, it’s still present and given importance. The Little Soldier is a test of what Godard would only expand on for the rest of his career, even if it is a weakly seasoned, watered down taste.